Why use someone else’s power when you can generate your own? At Tru Enterprises we are committed to giving you the system you desire. We will provide a free estimate with a visit to your site, taking a solar analysis and calculating the system that will give you the best return on your investment. Contact us today to start saving and invest in your future. This system was designed to match our customer’s energy demands, while maximizing the available roof square footage. This 7.4kw system was specifically designed for the ocean environment to produce year round electricity. This ground mounted system is mounted at the optimal azimuth angle for maximum energy production. This versatile design has eliminated 20% of our customer’s electric bill. This is an affordable solution to reduce energy costs. The Tru team will come out to your proposed or existing building site to preform a feasibility study. 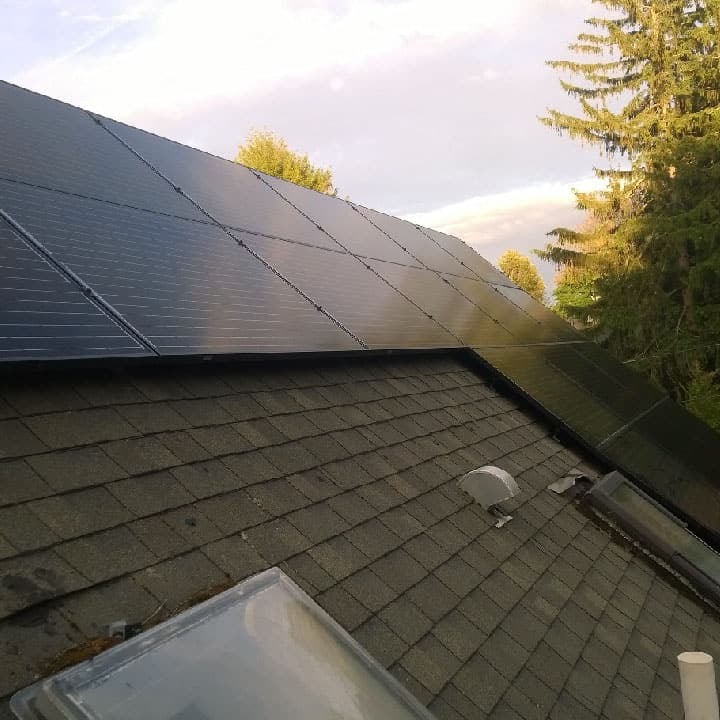 We will follow up with the best proposed location for your solar and your estimate return on investment (ROI). We can provide you off-grid solutions for your solar. Size is based on your buildings needs and your required standby time. Batteries can be used as a back up system for grid-tied systems as well with the same design principles as a back-up generator. At Tru Enterprises we are firm believers in supporting US Manufacturing. Both our racking and solar panels are made in the USA. We strive to use USA made products any way we can.